The remains of a young boy have been found on a filthy New Mexico compound where authorities rescued 11 children last week, according to police. Authorities swarmed the remote property in Amalia last week after securing a warrant to search for a missing 3-year-old boy who police believed was kidnapped by his father, 39-year-old Siraj Wahhaj. The remains of the boy have not been identified since being found Monday on the "inner portion" of the property, said Taos County Sheriff Jerry Hogrefe at a press conference Tuesday afternoon. Eleven children were held with little food or water in a makeshift compound in Costilla Meadows, Ga., for an unknown period of time before police raided the location on Friday, Aug. 3, 2018. Authorities in Georgia issued a warrant for Wahhaj's arrest in mid-May, but there was "no immediate information that he was in New Mexico," Hogrefe said. 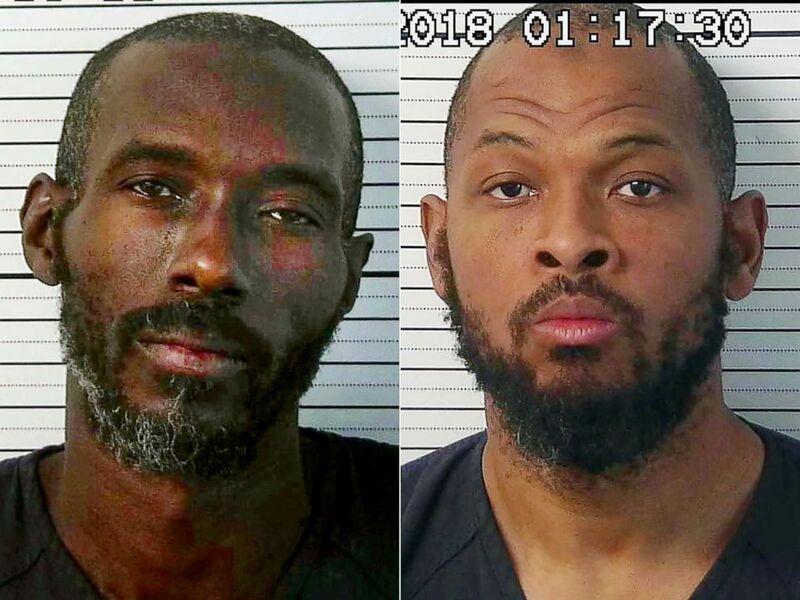 The FBI and Georgia law enforcement eventually gained information that Wahhaj was living in Taos County, and "information began to trickle in about a new building" in the area, Hogrefe said. 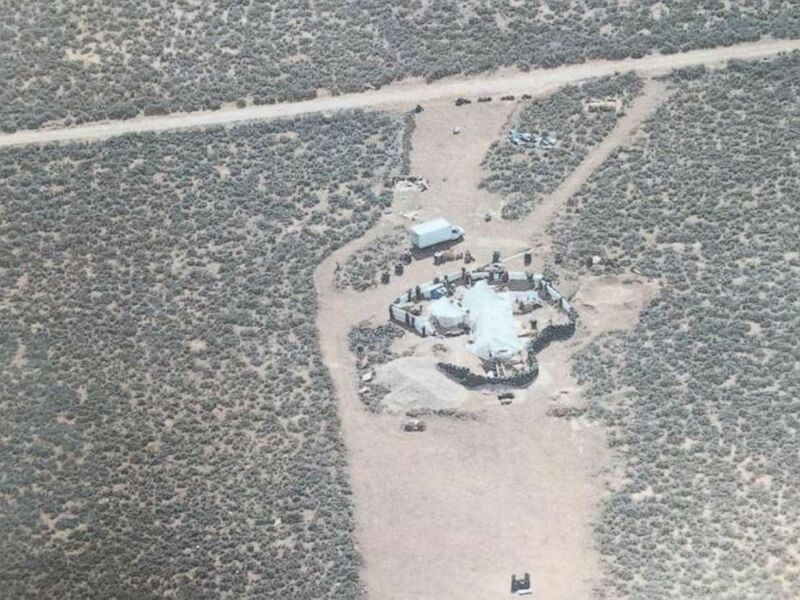 Once authorities became aware of the compound, they began efforts to identify people living there through surveillance, but neither Wahhaj nor the boy were identified by those images, Hogrefe said. The "breaking point" to enter the compound came on Thursday, when a text message believed to have been sent from an occupant of the compound -- or someone with "great knowledge" of the compound -- stated that there were starving children there. Georgia law enforcement became aware of the text and forwarded the information to the Taos County Sheriff's Office, Hogrefe said. 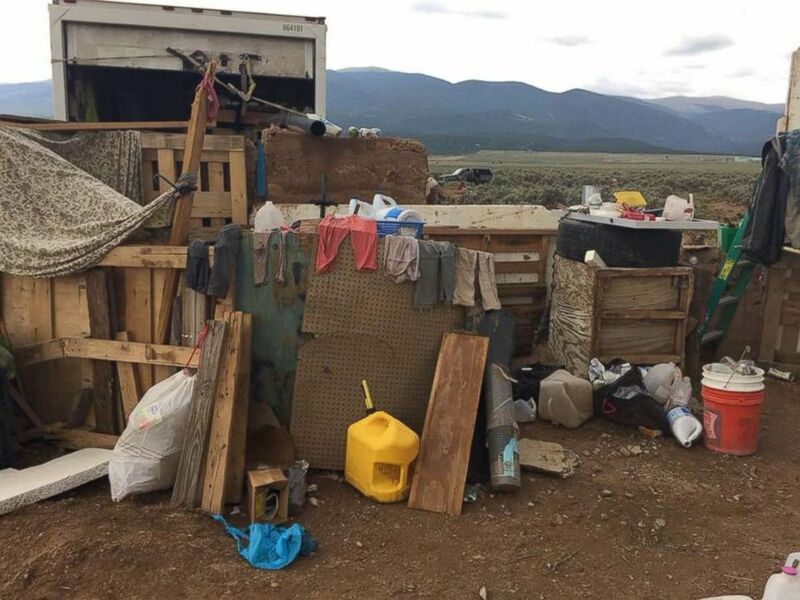 Eleven children were held with little food or water in a makeshift compound in Amalia, N.M., for an unknown period of time before police raided the location on Friday, Aug. 3, 2018. Law enforcement then "had enough probable cause for a search warrant" to search for Wahhaj and the boy on the property, Hogrefe said. Wahhaj was located upon entry and taken into custody, as was another adult male who was on the compound, Lucas Morten, Hogrefe said. 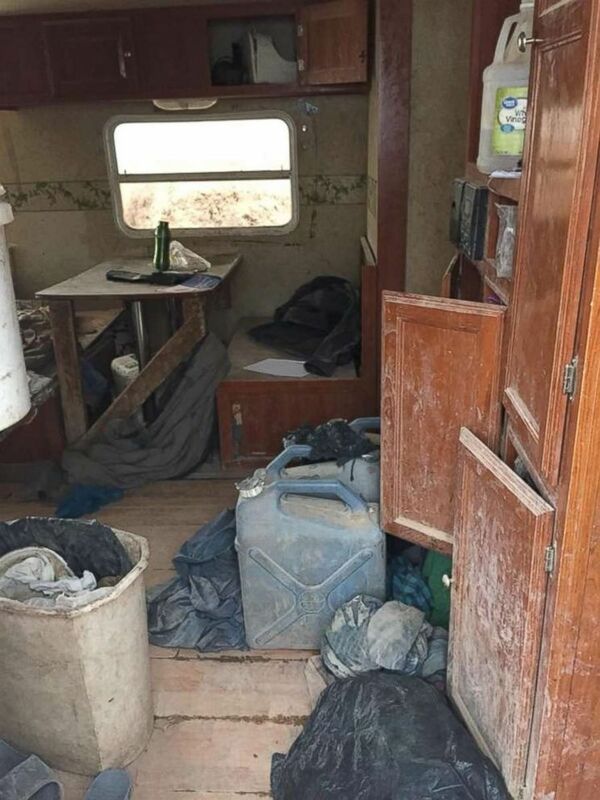 Deputies also found three women and 11 other children living in squalor with little food and no clean water, Hogrefe told ABC News over the weekend. The women are believed to be the mothers of the children. The children "looked like third-world country refugees," Hogrefe said. They had no shoes and were wearing rags for clothing. "I've been a cop for 30 years. I've never seen anything like this. Unbelievable," Hogrefe said. "These children were hungry, they were thirsty, they were filthy." From left: This Aug. 3, 2018, photo released by Taos County Sheriff's Office shows Lucas Morten.|A handout photo made available by Taos County Sheriff's Office shows the booking photo of Siraj Wahhaj issued on Aug. 05 2018. Initially, the women were briefly detained for questioning but not criminally charged so that state child services could interview them for their own investigation, Hogrefe said. They were later arrested after authorities executed a second search warrant on the compound on Sunday, and each of the five adults were charged with 11 counts of felony child abuse, Hogrefe said. 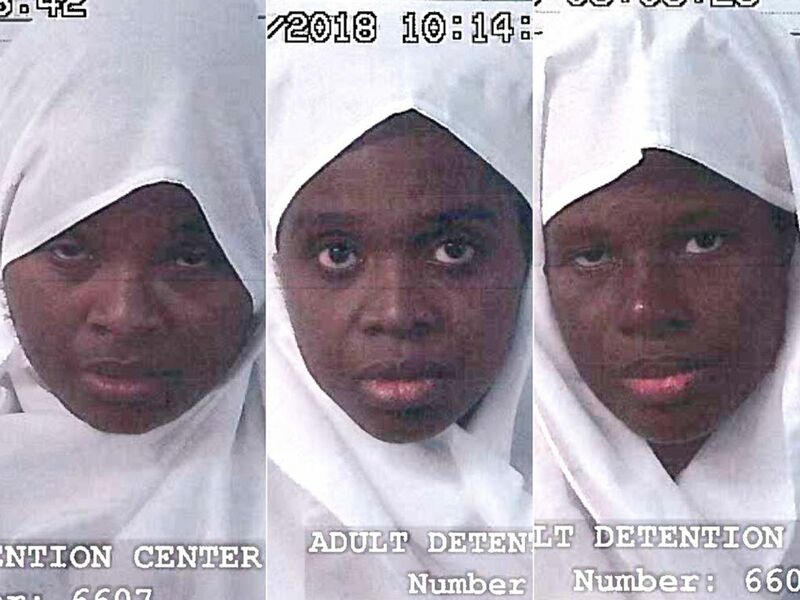 Hujrah Wahhaj along with Jany Leveille and Subhannah Wahhaj were arrested without incident in Taos believed to be mothers of eleven children that were rescued from filthy living conditions. None of the adults would give a statement about the whereabouts of the missing 3-year-old. "It's obvious to me that they were brainwashed and feel great intimidation from the men that were in control of this facility," Hogrefe said of the women and children. The 11 children are now in the custody of child protective services, said Secretary of New Mexico Children, Youth & Families Department Monique Jacobson. They are "safe and being cared for," Jacobson said. The property the "makeshift compound" sits on does not belong to the occupants, Hogrefe said. Surrounded by tires and an earthen berm, the property also lacked electricity and running water. The FBI and authorities in Georgia indicated to the sheriff's office that there could be weapons on the compound, and deputies learned that there had been a shooting range installed there, Hogrefe said. Both Wahhaj and Morten initially refused to follow verbal commands when law enforcement arrived at the compound, and Wahhaj remained holed up inside a small, rickety trailer with an AR-15 semiautomatic rifle, five 30-round magazines and four handguns, Hogrefe said. Deputies had to "physically" take Wahhaj down to place him in custody, and he and Morten, both from Georgia, were arrested and charged with child abduction and harboring a fugitive, respectively.